Russia’s air-defense systems manufacturer Almaz-Antey is to reveal on Tuesday the findings of its own investigation, which it says refutes data that led to the company being placed on the Western sanction lists over the Ukrainian crisis. On May 22, Almaz-Antey filed an appeal at the European Court of Justice against European Union sanctions imposed on the company. 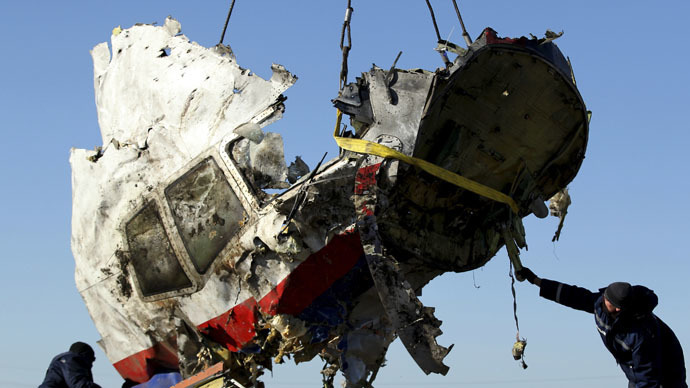 The restrictions against Almaz-Antey – as well as a number of other large Russian defense firms – were introduced shortly after Malaysia Airlines flight MH17 crashed in eastern Ukraine on July 17 last year, killing all 283 passengers and 15 crew members. The press conference, scheduled to take place on Tuesday in Moscow, is aimed at explaining the details of the appeal and backing it with evidence. Almaz-Antey chief executive, Yan Novikov, is expected to release details of the report to the media, which proves the unjustified inclusion of the company on the EU sanction list. “The inclusion of our company on the sanctions list is groundless. The EU has not presented any supporting evidence of our involvement in destabilizing the situation in Ukraine,” Novikov said earlier. The Dutch investigators, looking into the MH17 tragedy, said the plane was shot down while flying over the conflict zone near Donetsk. However, they haven’t yet established responsibility for the tragedy as pro-Kiev forces were fighting with rebels from the self-proclaimed republics in eastern Ukraine at the time. 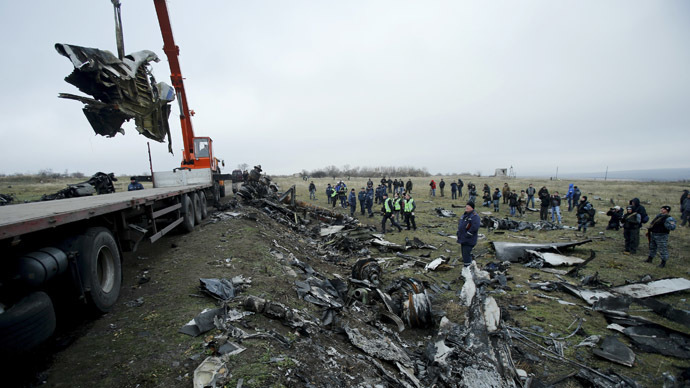 The Ukrainian authorities and the West blame the Donetsk militias for downing the plane, saying they used a BUK surface-to-air missile provided by Russia. The accusations are denied by the rebels, with Moscow repeatedly warning against blaming anyone before the investigation into the crash is completed. 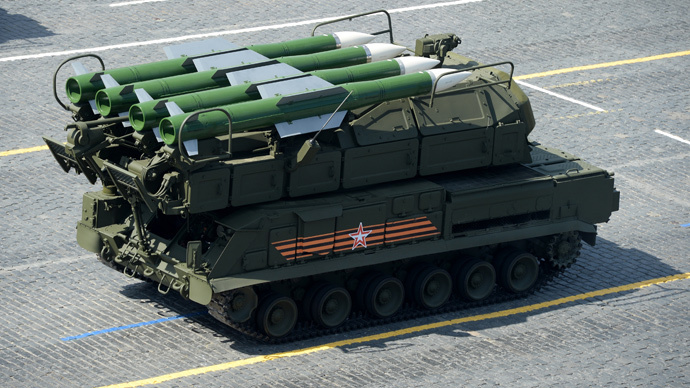 BUK is among the systems produced by state-owned Almaz-Antey, which also manufactures S-300, S-400, S-500 and Topol systems. Almaz-Antey was created in 2002, bringing together over 60 defense plants, design bureaus and research institutes from 17 Russian regions. The company specializes in development and production of small, medium and long-range anti-aircraft missile systems, basic radar reconnaissance and automated control systems.